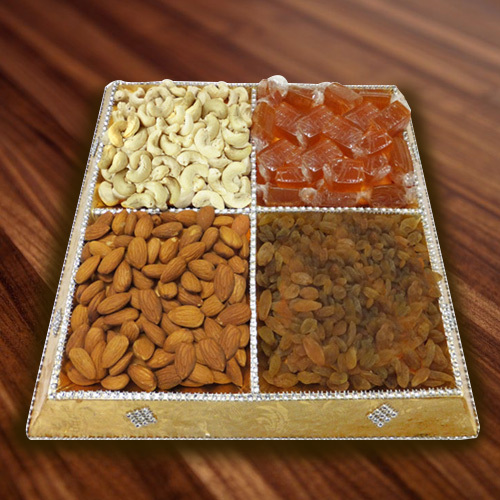 Render happy moments to your loved ones with Assorted Dry Fruits for framing it forever in your memory and heart. This Dry Fruit Collection is stuffed with 100 gm Cashews, 100 gm Raisins, 100 gm Almonds and 100 gm Mango Toffees arranged in a decorated Tray. Note: Tray design may vary depending on availability.